Scholars believe that the earliest evidence for the practice of acupuncture may have come about in China close to 4000 years ago. We believe that acupressure techniques may have been used at least by another millennium before acupuncture. At some point, acupressure lost its popularity, with acupressure being considered inferior to acupuncture and herbology. This most likely occurred because ancient Chinese doctors avoided touching their elite patients excessively as a sign of respect. Over time the highest form of Chinese medicine came to be from observation and prescription of Chinese herbs. In more modern times, acupressure has gained back popularity because of its use in areas of China that did not have access to Western-trained doctors, drugs or herbs. The West has also embraced this type of practice because of its safety, ease and efficacy. The acupressure system uses the same points on the body as acupuncture. However, instead of needles, one can use a tool, fingers or hands to place pressure on specific points. I love using acupressure for the entire family, and especially for my kids, because it allows me to use medications more sparingly on them. Plus the kids think it’s pretty cool! These are the points I use most commonly for everyday conditions. There are different techniques that can be used to stimulate the points, but I generally prefer to either use the press and release method (the point is pressed and released 30-50 times) or the circular rubbing method (the point is depressed to the level of a small ache by using the middle or index finger and rubbed for 30-50 times). This well-known and commonly used acupressure point lies at the highest point formed when the thumb and index finger are brought together. It is my first choice for many disorders of the head and neck, including headaches, neck stiffness, chronic bronchitis, sinusitis, dizziness, tinnitus (ringing in ears), toothache, common cold, redness and swelling of eyes and face, nasal obstruction and any type of facial, nasal or ear pain. Combined with theLiver 3 point on the foot (see below) it is best known as “The Four Gates”. This combination of four points (bilateral LI 4 and LIV 3) is used exclusively as the cure-all by many practitioners and can be helpful for generalized body pain and insomnia. LI 4 or He Gu does induce labor and is therefore contraindicated during pregnancy. Found on top of the foot between the 1st and 2nd toe, Liver 3 is a commonly used point in acupuncture and acupressure. This point is effective for issues such as painful menstruation, hernia, impotence, PMS, nausea, vomiting, diarrhea and constipation. Additionally, it is a calming point, good for anger, anxiety and insomnia. As mentioned previously, in combination with LI 4, it is a powerful blood and Qi mover. Located in the inner wrist, about three finger widths (or 2 inches) from the top crease in the wrist and centered in the groove between the two large tendons, is acupressure point P 6. This point is responsible for relaxing the chest area, which could help in asthma or palpitations. It is used frequently for nausea, motion sickness and vomiting. Studies have found that P6 is effective in decreasing chemotherapy-induced nausea, vomiting, and anxiety in patients with breast cancer. While there are some inconsistencies in the literature, it appears that this point may have benefits in post-op nausea/vomiting, decreasing labor pain in pregnancy, vertigo and carpal tunnel syndrome. Acupressure point Kidney 1 can be easily found by flexing your foot down toward the ground. The small depression in the upper-mid part of the foot is where the point is located. I love this point for a number of reasons. First, it’s pretty easy to find and stimulate. It can be stimulated with fingers or golf ball while you are going about your daily work. Second, it is a great grounding point – a point that encourages the flow of energy down…out of the head. This is a great point to stimulate when you are obsessing or anxious over something. It is also a great tool to use for insomnia, headaches, ringing in the ears and chronic sore throats. 2. Hjelmstedt A. Acupressure to reduce labor pain: a randomized controlled trial. Acta Obstet Gynecol Scand. 2010 Nov;89(11):1453-9. 4. J Pain Symptom Manage. 2011 October; 42(4): 589–603. Published online 2011 April 30. Did you know United States uses 35 billion pounds of antibiotics every year? Did you know nearly 80% of that antibiotic use is for pigs, chickens and cows? Researchers believe the overuse of antibiotics in humans and animals has led to a plague of drug-resistant infections that have caused two million illnesses and killed more than 65,000 people in the U.S. last year — more than prostate and breast cancer combined. 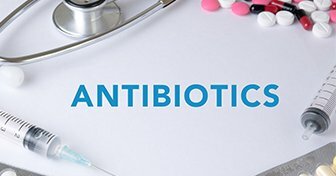 The Associated Press has reported that the rise in the use of antibiotics is part of a growing problem causing antibiotic resistance worldwide. According to the CDC “antimicrobial resistance is one of our most serious health threats…research has shown that patients with resistant infections are often much more likely to die, and survivors have significantly longer hospital stays, delayed recuperation, and long-term disability”. It is without question then when antibiotics are overused in this way, it threatens public health in a serious manner. As a result diseases such as Methicillin Resistant Staph Aureus (MRSA), Clostridium difficile (C. difficile), Neisseria Gonorrhoeae, Salmonella, Streptococcous pneumonia and tuberculosis (TB), aka the “super bugs” have made a come back in newer and deadlier forms. These super bugs spread on the farm, cross contaminate other things they come into contact with and contribute to antibiotic resistance in hospitals, health care settings and communities. You might be wondering why then is it necessary to use such large quantities of antibiotics in livestock production. Antibiotic use in animals is intended for (a) treatment of infections in diseased animals (b) prophylaxis (when there is no disease but the goal is prevention… in reality that translates into… for prevention of disease in crowded and unsanitary conditions) and c. in very low or sub-therapeutic doses for faster growth of the animal. Often treating one animal individually may be more challenging than treating the entire group, which is done by medicating their food and water. This form of mass medication is much more efficient and is used more commonly in the care of poultry and fish. Some producers may use prophylactic antibiotics in times of high risk such as during transport of the animal. The most concerning of these indications is in fact the sub-therapeutic doses used for faster growth of the animals. Since the 1950s, livestock farmers have figured out that feeding small, yet regular doses of antibiotics to cattle, pigs and chickens can help promote growth and improve feed efficiency (In other words, the animals get fatter with less food). The regulations on this type of antibiotic delivery is more ambigious and occurs with minimal to no veterinary oversight. In a 1999 a Department of Agriculture study showed over 80% of feedlots did administer at least one antibiotic to the cattle’s food or water. Monensin, a commonly used antibiotic in cattle and dairy industries, is used for growth promotion and for prevention of coccidiosis infections. However in horses this antibiotic has been found to be fatal! Alternatively another common antibiotic used for the same indication is called Lasalocid. Studies have been documented showing Lasalocid toxicity and death in dairy calves from myocardial necrosis, heart failure and lung edema! Due to growing concerns about this emerging worldwide problem, the sub-therapeutic use of antibiotics in animals has been banned in many countries in the European Union and Canada. However in the United States its use is still legal. More surprisingly the Environmental Working Group has determined that government tests of raw supermarket meat detected antibiotic resistant bacteria in: 81% of ground turkey, 69% of pork chops, 55% of ground beef and 39% of chicken breat/wings/thighs!! So what can you do to keep your family safe from serious infections and antibiotic resistance? 1.Prevention: The best way to prevent the spread of microbes and germs is proper hand washing. Using soap and water to scrub for at least 20 seconds is the best way to keep them clean. During illness staying home and resting is the best way to minimize spread. Practice caution if you are sick with a cold or gastrointestinal illness and need to prepare food for others. 2. In the kitchen: Keep countertops, cutting boards and sink clean at all times. Use separate cutting boards for raw meats and other food items to prevent cross contamination. 3. Avoid overprescribing doctors. It’s interesting to note that the frequency with which doctors prescribe antibiotics varies greatly from state to state. Many mild or viral infections may not require antibiotics. 3. Doonan G, Brown CM. Monensin poisoning in horses — an international incident. Can Vet J. Feb 1989; 30(2): 165–169.